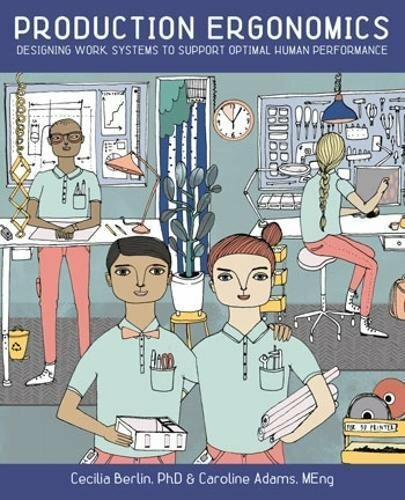 This book offers a multi-faceted orientation in the prerequisites for healthy and effective human work. We will cover physical, cognitive and organizational aspects of ergonomics, and provide both the individual human perspective and that of groups and populations, ending up with a look at global challenges that require workplaces to become more socially and economically sustainable. This book covers a wide range of topics relating to advanced industrial robotics, sensors and automation technologies. Included are topics such as networking, properties of manipulators, forward and inverse robot arm kinematics, etc. Modern supply chain management is a highly complex problem set with virtually endless number of variables for optimization. An Internet enabled supply chain may have just-in-time delivery, inventory visibility, and distribution-tracking capabilities.